The trial of Sangamo’s gene-editing treatment for a rare and debilitating disease has got off to a good start, with no safety concerns reported so far. The groundbreaking trial hit the headlines around the world in November when Brian Madeux volunteered to be the first human to try out the ‘in vivo’ therapy. He has Hunter syndrome, a rare disease caused by mutations in the gene encoding the iduronate-2-sulfatase (IDS) enzyme. Richmond, California-based Sangamo is one of a handful of pioneers in gene therapy, and became the first to test zinc finger nuclease (ZFN) genome editing technology in humans. The one-off therapy involves an infusion which inserts a corrective gene into a precise location in the DNA of liver cells, where the faulty gene resides. A second patient joined the study in mid-January 2018, and Sangamo has now reported that no worrying safety problems have emerged so far. This initial safety data was presented at a congress yesterday by Paul Harmatz, the principal investigator for the CHAMPIONS study at the UCSF Benioff Children’s Hospital Oakland, where the first subjects in the study were treated. “Two patients have thus far been treated in the CHAMPIONS Study, and both have tolerated the SB-913 infusions well, with no concerning safety issues related to study drug seen to date,” said Harmatz. The first patient tolerated the infusion well, with mild (Grade 1) adverse events related to the study drug reported on the fourth day after dosing as dizziness, weakness, and frequent urination, all of which resolved within one day without treatment. No other adverse events related to the study drug were observed. Most importantly, the patients’ liver function tests have remained within normal limits since the infusion. 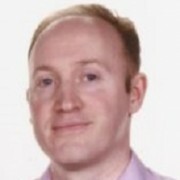 The greatest concern was that the immune system would attack the gene therapy and undermine its efficacy and damage the liver, or that there could be some ‘off target’ editing of healthy genes, but there have been no signs of this so far. One serious adverse event was reported, but was classified as unrelated to SB-913. The subject developed an upper respiratory tract infection and was hospitalised for acute bronchitis, but this was attributed to the patient’s chronic pulmonary disease and history of hospitalisation for the condition. The results are very encouraging for Sangamo, not only for SB-913, but as a demonstration that its zinc finger technology could be used to treat a range of genetic diseases. The company is conducting phase 1/2 trials in Haemophilia A and Haemophilia B, and in lysosomal storage disorders MPS I and MPS II. It has also established a partnership with Pfizer to develop gene therapies for Haemophilia A, and extended this to research into rare diseases ALS and FTLD in January. It is also working with Bioverativ (shortly to be acquired by Sanofi) for haemoglobinopathies, including beta thalassemia and sickle cell disease, and with Shire to develop therapeutics for Huntington’s disease. 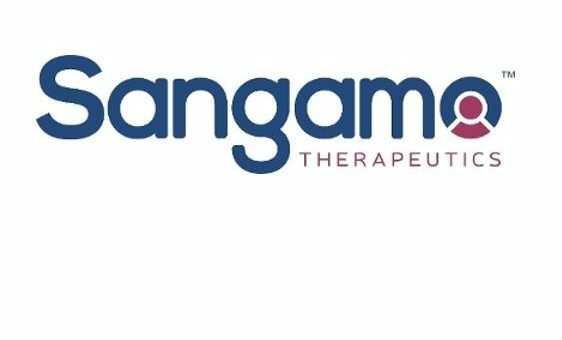 Shares in Sangamo have soared over the last 12 months, especially after Pfizer gave its seal of approval and R&D backing via the collaborations. The early safety results come just days after a gene therapy pioneer warned of possible problems in a related field. Dr. James Wilson of the University of Pennsylvania, published two studies reporting liver and other serious problems in animals treated with adeno-associated virus 9 (AAV9) gene therapy, but urged researchers to proceed with similar trials in humans to investigate safety issues. Spark Therapeutics made history when its Luxturna gene therapy, using an AAV2 technology, was approved by the FDA in December. The one off-therapy costs $850,000. Sangamo’s next big test comes later this year, when it plans to unveil initial efficacy data. Dr. Edward Conner, chief medical officer at Sangamo said the company was pleased with how the study is progressing, and expects enrolment of remaining patients to proceed on schedule, with further safety and initial efficacy data by the middle of 2018.